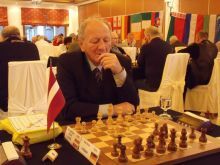 WIM Martina Beltz is the new sole leader of the World Seniors Chess Championship for women in the 5 star Galini Hotel in Kamena Vourla, Greece. She won her round 5 game against WIM Swietlana Miednikova and jumped on clear first position with 4,0/5.The other top board game of the day WFM Ankudinova – GM Gaprondashvili finished draw, and now they are sharing 3rd position with the winners of the round WGM Strutinskaya and WGM Fatalibekova, all with 3,5/5. 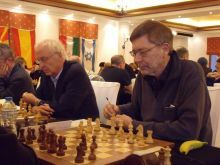 In the men’s section of the World Senior Chess Championship the rating favorite GM Anatoly Vaisser defeated with black the leader of R4 IM Zhelnin. The French player is now sharing first with another leader of this round – GM Yuri Balashov, who won with white against GM Nikolai Pushkov. 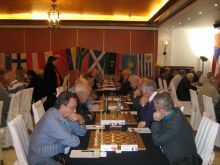 Third position is shared by seven players – IM Vladimir Zhelnin, GM Mihai Suba, GM Evgeny Sveshnikov, GM Vladimir Okhotnik, IM Jens Kristiansen, IM Mehrshad Sharif, and GM Vlastimil Jansa, all with 4,0/5. 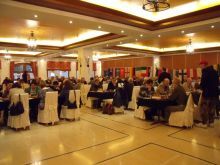 Tomorrow is round 6 at 16:00 local time (15:00 CET) with top pairings GM Vaisser – GM Balashov and WGM Fatalibekova – WIM Beltz. 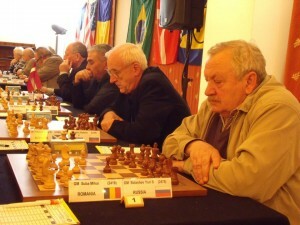 Follow the live games here.